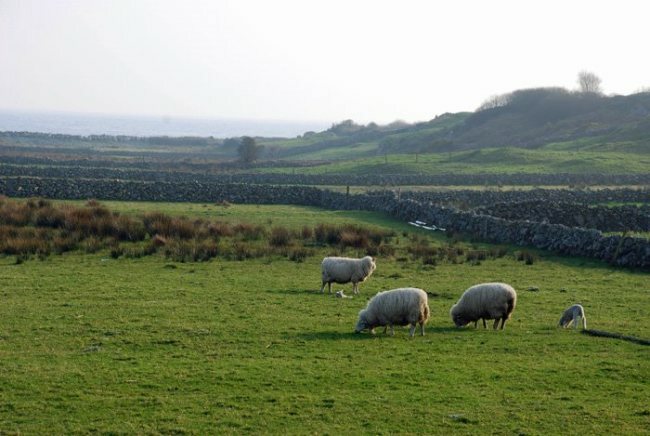 If you came to my wee village in the west of Ireland on Saint Patrick’s Day, it might look a little bit different than you expect. It might be more subdued. There might be less green. There certainly wouldn’t be any pinching. But it would no doubt be an experience that you would take with you and think of fondly for the rest of your life. You might even say it was magical. – You’d come to our parade. You’d see a street lined with families and the air filled with laughter. You’d see the tri-color everywhere, with people wearing the three colors of the flag more than just green. You’d see floats made with tissue paper and poster-board. 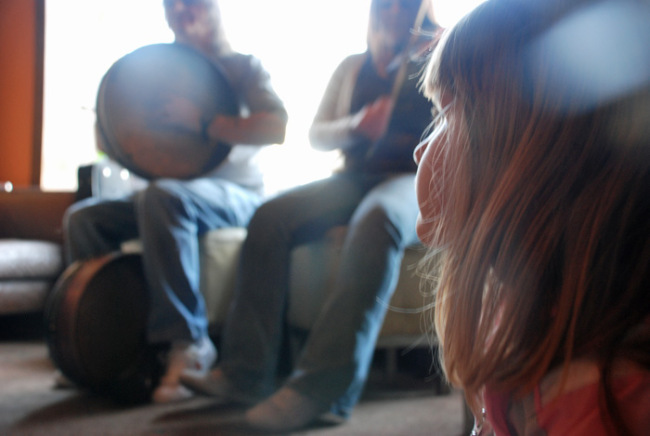 You’d hear tin-whistle tunes from the children. You’d see political satire and comedic drama. You’d definitely hear some traditional music. – You’d hear about folk “drowning their shamrock,” wearing a bunch of clover on their lapel and it wilts in the heat of the musky pub air. -You’d laugh ’til your sides ached, even if you didn’t fully understand why. But the joy of celebration and lilting Irish spirit is contagious and when they laugh you can’t help but join, and when they sing you’d be hard pressed not to cry. – You’d eat a 99 cone if the weather was nice. – You’d not hear When Irish Eyes Are Smiling once, but quickly tire of The Fields of Athenry and Galway Girl. – You’d drink tea with a friend round their generous table and perhaps take a stroll on the beach. – You’d huddle around the bonfire as the sun went down drinking in the atmosphere, imbibing in the Irish strength of spirit and reveling in the craic. 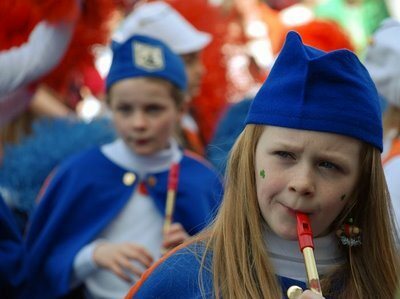 And finally, if you came to my village for Paddy’s Day you’d be grieved to leave her behind. And every year hence you’d remember the day you spent in “my” land, among my friends family. And never cease to speak of the day when an Irish breeze kissed your face, and her people stole your heart. Would so love to experience it!! Thank you for sharing, was fun to imagine being there as I read!! I would love to see Ireland and experience her culture and your Paddyday Festival, for my grandmother was an Irish girl and I also have quarter of Irish life in me! !